Call for young , independent scholars to join the Global Young Academy (Deadline 15 September 2018). 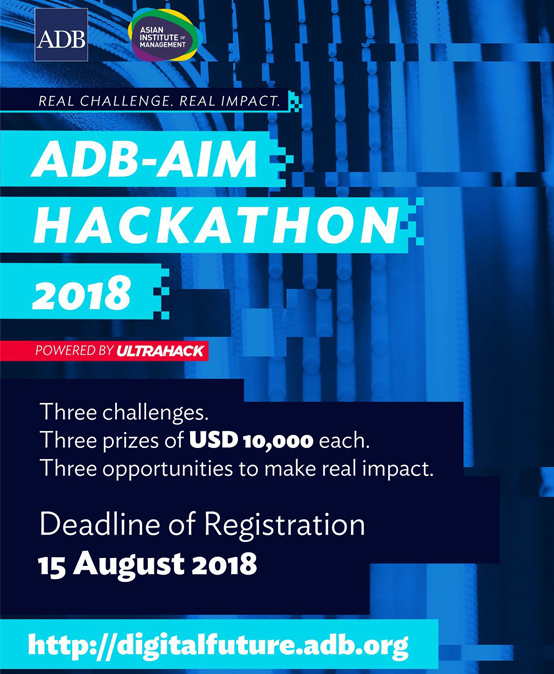 Join the ADB-AIM Hack 2018 and win USD10,000 by finding solutions to three of Asia’s pressing development challenges. The content and the items accessible from the pages are the sole responsibility of their creators and do not represent positions, policies or opinions of Silliman University. If you have any questions about a particular page or document, please contact the site or link author directly. Links to web pages created by sources outside the University do not suggest that the University approves or endorses the content of these web pages. Silliman University cannot accept any liability, including for any loss or damage, resulting from the reliance on the content, or for its accuracy and completeness.